With its extensive engineered systems expertise and comprehensive range of sensors and transducers, Ixthus Instrumentation designs and supplies complete measurement solutions for displacement, force, torque and vibration. At RAILTEX 2017, visitors to Stand Q55 can view and discuss the comprehensive range of laser-based rail industry gauging systems from Ixthus’ distribution partner RIFTEK - the pioneering rail and rolling stock measurement specialist. The range includes portable instruments for maintenance and inspection tasks for wheel diameter and wheel profile, disk brake profile and back to back wheel distance measurement. They feature a choice of display only and/or wireless data transmission plus comprehensive data logging software. 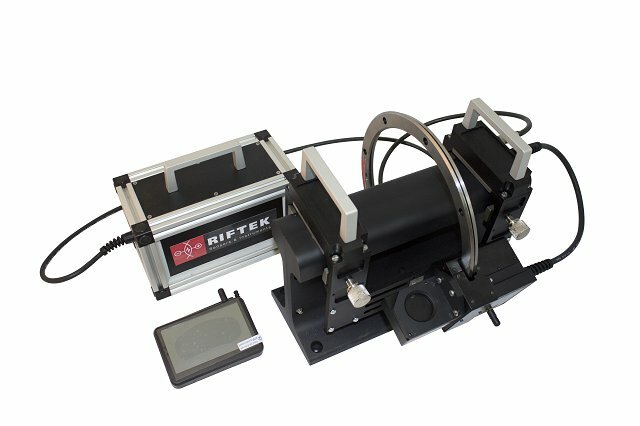 New products at Railtex 2017 will include a new version of RIFTEK’s IKP-5 laser wheel profilometer which offers significant improvements over its predecessor. With three times the measurement accuracy (+\-0.03 mm) and six times more battery life plus an increased working temperature range, the IKP-5 is available in a choice mounting versions to suit standard wheel or low floor trams. The Bluetooth® enabled gauge includes software and an operator PDA with a user-friendly interface. Flexible setting of measured and calculated wheel flange parameters include flange height, thickness and slope, wear parameters, angular profile parameters and much more. All data can be synched to external storage or PC for wheel sets wear data processing and analysis. The IDK & IDK-BT wheel diameter measurement gauges are designed for convenient and fast in-situ wheel rolling circle diameter measurement - without wheel set roll-out. Using the ‘three points’ technique, with no need for complete wheel coverage, the IDK version includes a numeric display to show the wheel diameter whilst the IDK-BT gauge features a Bluetooth interface for transfer of results into the supplied wheel-set wear database management system. RIFTEK’s range of back-to-back wheel distance measurement gauges for railway, metro and tram wheels will be on show as well as a laser profilometer for rails and switchers. For rail profile measurement, the PRP series covers the cross-section geometry of the working railhead surface with full profile scanning and analysis of the railhead acting face plus graphical image visualisation of the combined actual and ‘as new’ cross sections. With Bluetooth wireless transmission to PDA and PC interfacing, the PRP series can perform analysis that conforms to the EN 153092 Standard. Ixthus will also show RIFTEK’s IKD series handheld brake wear and profile gauges. These laser-based scanning devices are supplied with a database and software package for complete evaluation and storage of disk wear data.